The Obama administration has closed the books on prosecutions of those who violated our laws by authorizing and conducting the torture and abuse of prisoners in U.S. custody.Last year, Attorney General Eric Holder decided that his office would investigate only two incidents, in which CIA interrogations ended in deaths. He said the Justice Department “has determined that an expanded criminal investigation of the remaining matters is not warranted.” With that decision, Holder conferred amnesty on countless Bush officials, lawyers and interrogators who set and carried out a policy of cruel treatment. Holder has answered Taguba’s question with a resounding “no.” Some have suggested that Holder’s decisions have been motivated by political considerations. For example, Kenneth Roth, director of Human Rights Watch, wrote that “dredging up the crimes of the previous administration was seen as too distracting and too antagonistic an enterprise when Republican votes were needed.” And closing the books on legal accountability for Bush officials may remove one more Republican attack on Obama in the next two months before the presidential election. 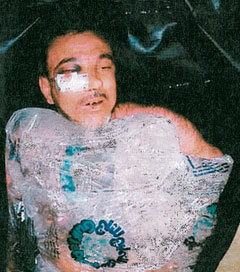 There are two federal criminal statutes for torture prosecutions—the U.S. Torture Statute and the War Crimes Act; the latter punishes torture as a war crime. The Torture Convention is unequivocal: nothing, including a state of war, can be invoked as a justification for torture. By letting American officials, lawyers and interrogators get away with torture – and indeed, murder – the United States sacrifices any right to scold or punish other countries for their human rights violations.